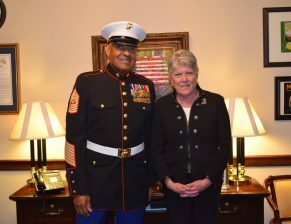 Congresswoman Julia Brownley (D-CA) today welcomed passage in the U.S. House of Representatives of the Department of Veterans Affairs Expiring Authorities Act of 2018, which extends critical veterans programs through September 2019, including the VA’s child care pilot program, women veterans retreats pilot program, and support services for homeless veterans. Today, Congresswoman Julia Brownley (D-CA) welcomed the White House’s announcement that Sergeant Major (Ret.) 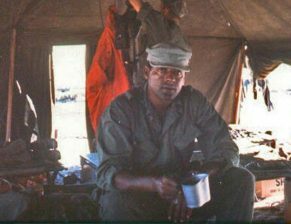 John Canley of Oxnard will receive the prestigious Medal of Honor for his heroism during the Vietnam War. 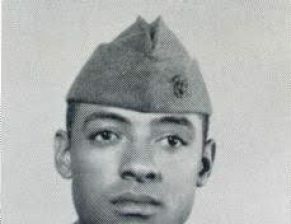 Brownley’s legislation making Canley eligible to receive the medal, which passed with overwhelming bipartisan support, was signed into law in January. Today, 83 bipartisan Members of Congress, led by Congresswoman Julia Brownley (D-CA), called on the U.S. Department of Veterans Affairs (VA) to end its ban on medically necessary treatments for our country’s transgender veterans. Today, House Veterans’ Affairs Health Subcommittee Ranking Member Julia Brownley (D-CA) and Oversight and Investigations Subcommittee Ranking Member Annie Kuster (D-NH) requested that the VA Inspector General investigate recent reports of undue influence by unaccountable outside individuals on the operations of the U.S. Department of Veterans Affairs. Brownley and Kuster also called for the House Veterans’ Affairs Committee to hold a hearing on whether these “advisors” to President Trump have violated any laws. Congresswoman Julia Brownley (D-CA), Ranking Member of the House Veterans’ Affairs Health Subcommittee, today led a Congressional hearing in Camarillo to discuss VA’s long-term care services. Today, the U.S. House of Representatives passed Congresswoman Julia Brownley’s (D-CA) bill to ensure that veterans with service-connected disabilities – regardless of age – can prepare for, find, and maintain meaningful careers. Congresswoman Julia Brownley (D-CA), Ranking Member of the House Veterans’ Affairs Health Subcommittee, today released a statement after the Senate’s confirmation of Robert Wilkie as Secretary of the U.S. Department of Veterans Affairs. 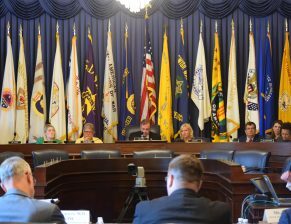 Congresswoman Julia Brownley (D-CA) announced today that the House Veterans’ Affairs Subcommittee on Health will be holding a Congressional hearing in Ventura County on Monday, July 30, to discuss VA’s long-term care services. Brownley is the Ranking Member of the Subcommittee. Today, the House Veterans’ Affairs Committee passed Congresswoman Julia Brownley’s (D-CA) bill to ensure that veterans with service-connected disabilities – regardless of age – can prepare for, find, and maintain meaningful careers. Today, House Committee on Veterans’ Affairs Subcommittee on Health Ranking Member Julia Brownley (D-CA) gave an opening statement at the Subcommittee’s hearing on burn pit exposure. Congresswoman Julia Brownley (D-CA), Ranking Member of the House Veterans’ Affairs Subcommittee on Health, issued a statement after the John S. McCain III, Daniel K. Akaka, and Samuel R. Johnson VA Maintaining Internal Systems and Strengthening Integrated Networks (VA MISSION) Act was signed into law. Rep. Brownley attended the White House signing ceremony today with fellow Members of Congress, Veterans Service Organizations, and veteran caregivers. 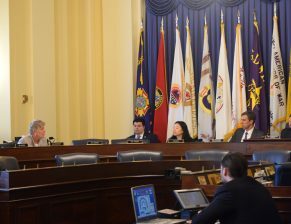 Today, the House Committee on Veterans’ Affairs Subcommittee on Economic Opportunity held a hearing on legislation to help veterans transition into civilian life, including the Reduce Unemployment for Veterans of All Ages Act, authored by Congresswoman Julia Brownley (D-CA). This bill would ensure that veterans with service-connected disabilities – regardless of age – can prepare for, find, and maintain meaningful careers. Brownley is co-chair of the House Democratic Caucus’s Reinvesting in Our Returning Heroes Task Force, and this bill is part of the Task Force’s veterans jobs agenda.